It's Back to School – Are You Prepared? - Jeff Munns Agency, Inc.
Keep those grades up! Getting into a good college typically requires good grades. Well, the benefits may not stop there. Some insurance companies offer good student discounts to qualified students who keep their grades up. Take driver’s training. Having training may also qualify a young driver for a discount. Not all insurance companies offer these discounts, so it’s best to refer with your trusted insurance agent to see what discounts may be available! School season doesn’t just affect the kids. As a parent, adult driver or business owner, we need to be on the look-out for safety at all times. Parents: Begin by instructing your school-aged youths in road safety – whether they are walking, riding a bicycle or driving to school. Drivers: Slowdown in school zones and watch for pedestrians on route to the classroom. Being aware of your surroundings whenever you drive. This is the first step towards making our streets a safer place. Many adults who no longer have school-bound children will focus on their safe driving skills by watching for children and obeying school zone speed limits. Wherever this school year finds you, take time to be safe and enjoy your journey! 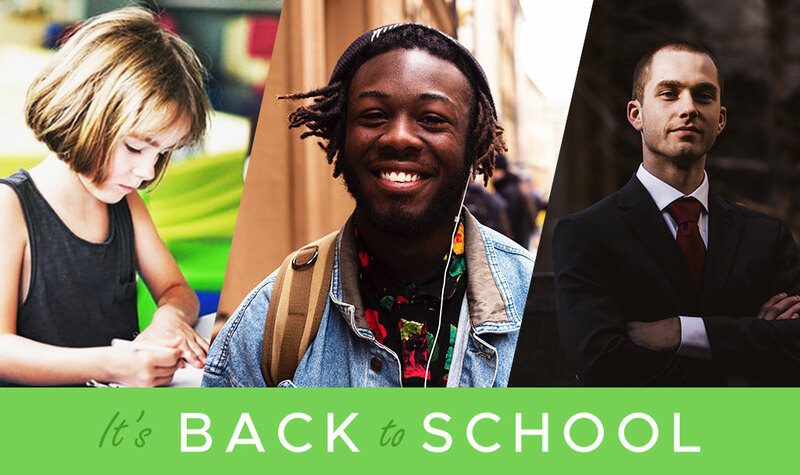 Oh, and don’t forget to check-in with your local insurance agent at Jeff Munns Agency for all your back to school insurance questions! Personal and commercial insurance solutions at Jeff Munns Agency, Inc.